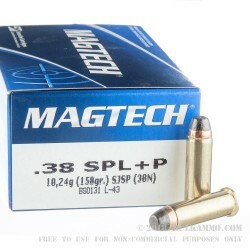 This 38 Special +P cartridge by Magtech sports a 158 grain semi-jacketed soft point projectile. 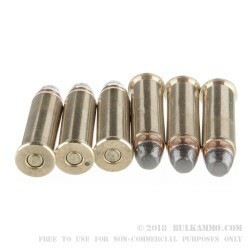 The bullet provides expansion similar to what a typical hollow point would, while its jacket offers even deeper penetration. Versatile and cost-effective, this is a good round for personal protection, target practice, and even just good old-fashioned backyard plinking. (Any respectable firearm owner doesn’t return their recycling until it looks like Swiss cheese.) This round’s Boxer primed brass casing adds additional value at the reloading bench as well. Considering how recently it was founded, Magtech has made a remarkably big name for itself. 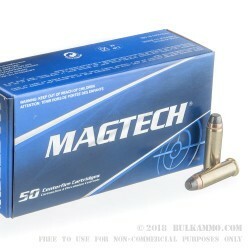 As a member of CBC Global Ammunition, Magtech’s and its affiliates’ cartridges can be found in over 130 countries throughout the world, a feat they owe primarily to their products’ quality and their dedication to quality assurance. 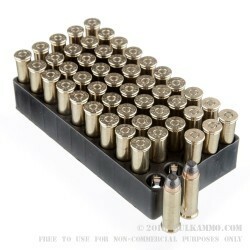 Please note that this is +P ammunition. If you fire it from a firearm that isn’t rated for it, you might have to have to get someone else to crochet your doilies for you afterward.